Pip Wilson bhp: Will you take the Blue Pill or the Red Pill ? I wonder if you are in stretch? Or do you choose comfortable? we need to choose comfortable. with stress fractures of the soul. Some alcoholics, mental health issues, chemical influences, background of rejection/neglect .......... da de da. 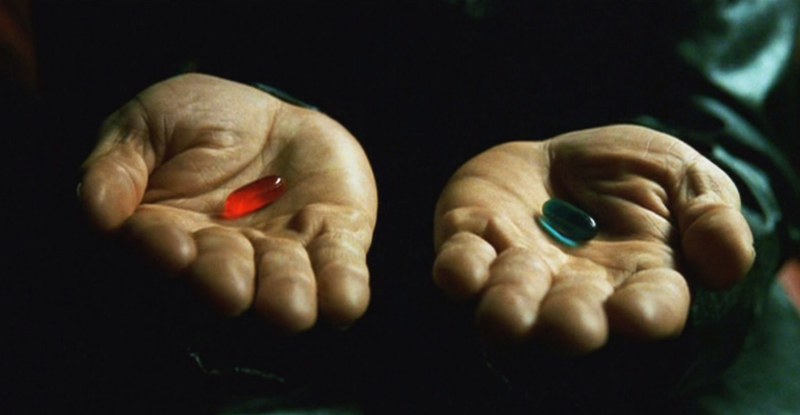 "I want to take the Red Pill Pip. But my life is such a mess I must take the Blue Pill". I loved her in it and she knows I do. She had real bouts of suicidal feelings. Yet she came to my group. She wanted to be with others. But she was brave enough to consider Blue or Red. Brave enough to also decide - make a decision. So often there is no decision. Lots to reflect upon myself here at Wilson Mansions. Will do tomorrow when I finish my stretch. I think of you before I close up my mac laptop. I wonder how your soul is? getting out of your comfort zones? 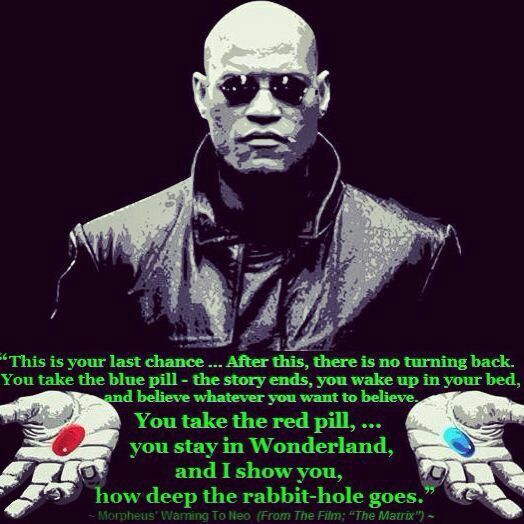 I wonder if you you are yearning for an opportunity to be offered a Blue Pill? I wonder if you place yourself in a place to decide? Whatever you decide, you are beautiful.